Good evening everyone! I hope you are all having a lovely Thursday! We are well into September and I am so getting excited for Halloween! This will be my first year in my new home that has the most amazing front porch so I am ready to start decorating for the season. 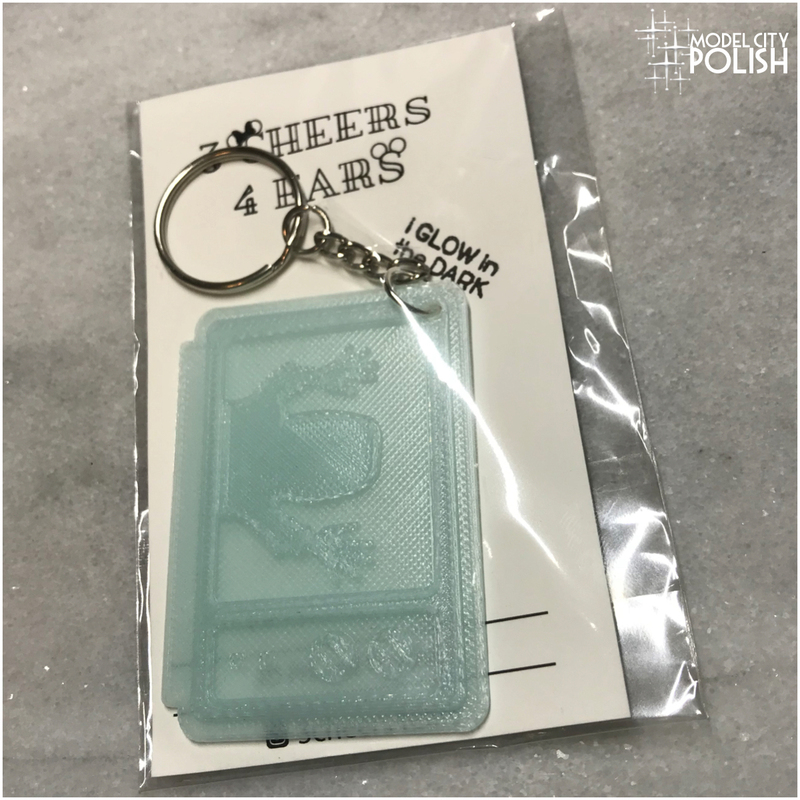 I am trying my best to wait until at least me birthday before decorating though, don’t want to be too early…..
To keep my Halloween fix for now I have a super cute keychain from 3 Cheers 4 Ears. This month they have four adorable scary themed keychains that are just perfect for Halloween. 3 Cheers 4 Ears will Poltergeist, Pennywise, Jason, and the Scream mask. I of course had to share the Poltergeist one. This is the first true scary movie that I can remember from my childhood. Between the little girl getting sucked into the TV, to the terrifying worm in the tequila bottle, to the house imploding….I was terrified but loved it at the same time!! Now I have a super cute keychain to remind of those scary but fun moments as a child. The Poltergeist keychain is the signature shot of Carol Anne reaching out and touching the fuzzed out TV. 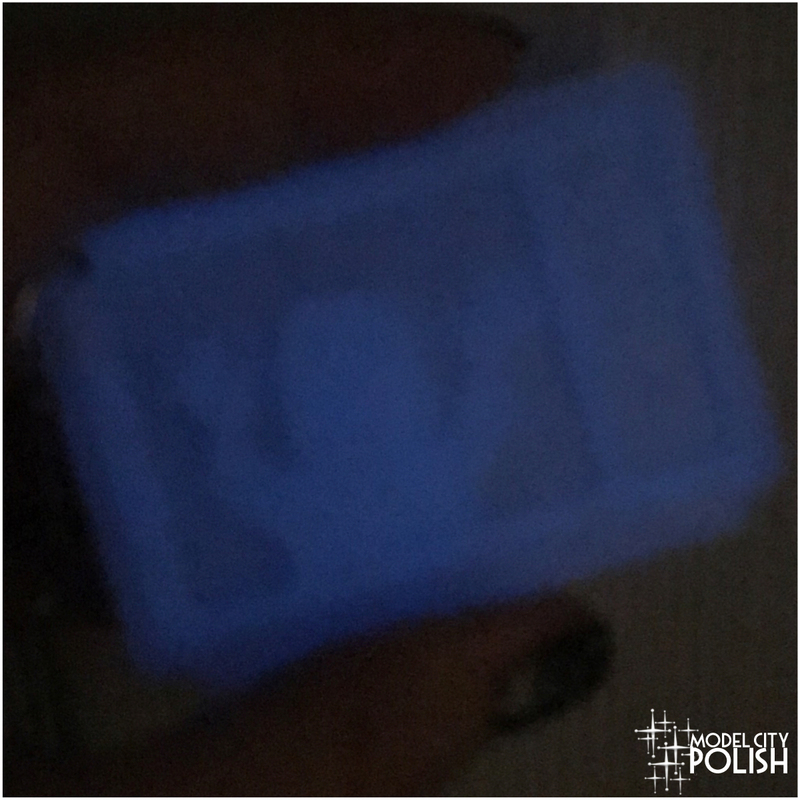 To add in some spooky fun, this keychain also glows blue in the dark!!! 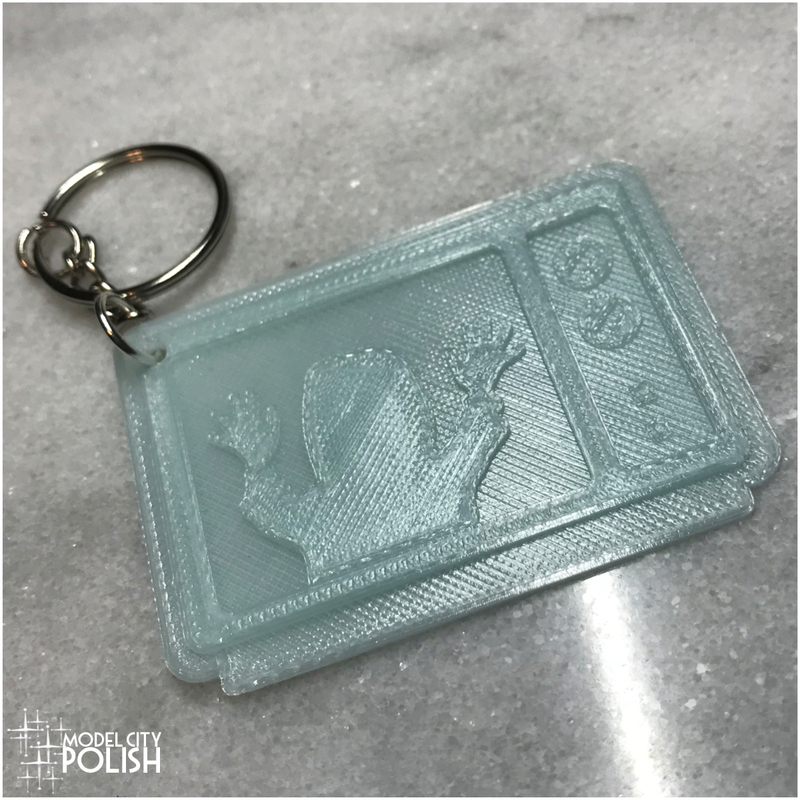 This keychain is made of hard plastic so this sucker will hold up in the bottom of anyone’s purse! 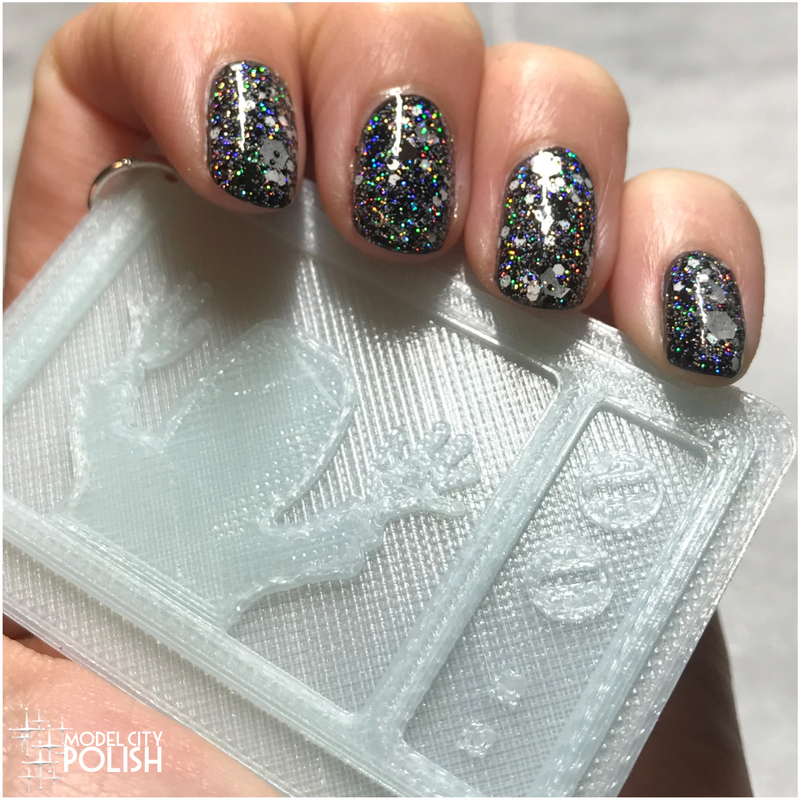 I had to bring in some static by doing my nails in a black and white spec with flashes of holo glitter like the TV is truly glitching out! So what do you guys think of the Poltergeist keychain from 3 Cheers 4 Ears? So adorable!!! I am in love with how sturdy this thing is and see getting lots of use out of it! Please take a moment to check out the adorable ears 3 Cheers 4 Ears has to offer and get ready for those spooky but awesome keychains! Thank you so much for stopping by today and I will see you all again soon! I remember how frightened I was during the movie. I don’t know if I could carry that memory with me all the time even though it’s very cool looking. Ooh spooky! Poltergeist terrified me as a child haha! I’d be honest, I had strange encounters growing up so when I saw that movie, it made me feel I wasn’t alone. This is so awesome! I love that it is study as well; it needs to be to survive! I like the mani you did to go with! Fun! This looks like fun to play with! I have been enjoying your new home adventures when you post on Facebook. 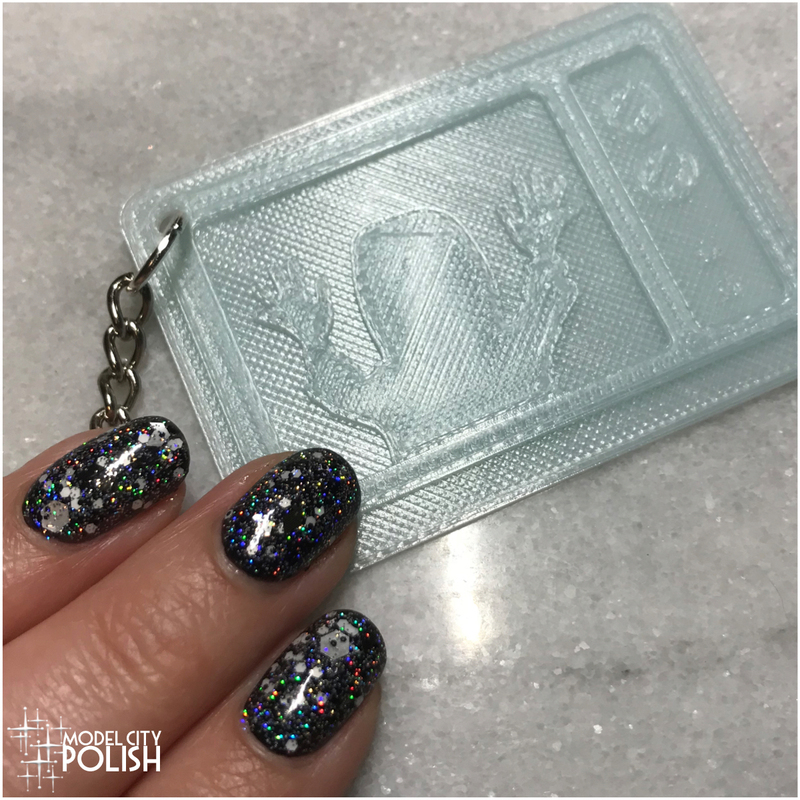 I love the idea of a glow in the dark keychain — makes find your keys at night easier! That’s too cute! I hadn’t heard of this shop before! I should get this for when I do my paranormal investigations. My group would get a kick out of it. I was dreadfully scared by Poltergeist while growing up. I’d probably freak out over the keychain as well ROFL.